1980s vintage SPACE ROBOT action figure MOC Hong Kong SEALED diecast chogokin !! This is a very nice small transformer in very good condition. I have not transferred it so I don’t know what it looks like. The mechanism looks in perfect condition. I have had this in my collection for a long time. Put it in yours. Missing 1 weapon. Over 17 Years old! would make a great addition to any 90's toy collection. Function: eyes light. condition: new in box. version: china.ver. Origin: China. Main material: plastic ABS alloy. Due to the light and screen difference. The star-scores are very important to us. The color difference is hard to avoid in the internet sales. So if dear you can not accept this very little difference, be cautious before you making the orders. 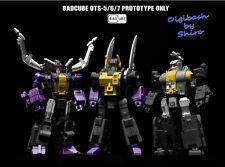 New Toy Model Badcube Ots-05/06/07 - Evil Bug Corps Set Of 3,In Stock! BadCube is proud to introduce the worst kind of insects around! - Matching characters show color (include silver paint, yellow chest armor 06 robot mode has grey chest, but changes into purple in giant bug mode.). 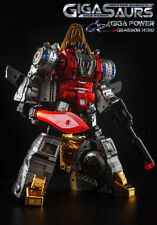 New FanToys Transformers FT-06 Sever G1 MP Masterpiece Iron Dinobots,Restock! MW Wizard Cute Take-out,3 in 1,In stock! Pocket toys The Evil Energy Conehead Set of 3,In stock! DX9 TOYS WAR IN POCKET X16G USURPER GHOST,In stock! DX9 TOYS - WAR IN POCKET - X16G USURPER GHOST. 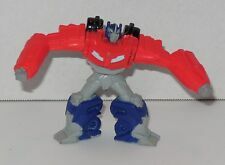 War in Pocket X16G Usurper Ghost stands 3.90" tall/10cm in robot mode and transforms into a fighter jet. Function: eyes light. version: china.ver. Dr.Wu DW-P34 Double-Pole kit gold version,In stock! 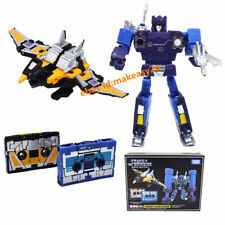 Shadow Fisher SFM-05 MP29 Shockwave head upgrade kit,In stock! This head kit can change 3 colour:Red,Yellow,Orange. Simple Ver. PC-10 UPGRADE SET - BRUTICUS & SHOCKWAVE(US version),In stock! DX9 TOYS WAR IN POCKET X30 X31 X32 CONEHEAD SET OF 3,In stock! Includes all 3 seeker jet coneheads. - X31 Gallower. MASTERMIND CREATIONS R-26 MALUM MALITIA SET OF 3,In stock! Calcitrant 2. inflecto 3. Set includes. Ok here it is! 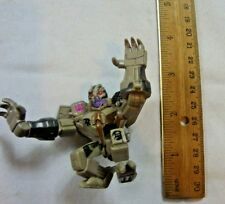 Item is in good condition with possible minor wear.This is a must have for any TF fan, so grab it now! Custom Bundle No. Character torca. Function: eyes light. condition: new in box. 3 IN 1 Letter Building Block Toy - letter transforming into dinosaur animal and robot. - Creative letter blocks for kid children alphabet & animal recognition learning in the funny process. Set of EVA Foam Blocks Toy.